The Water Research Commission (WRC), focused his presentation on the six goals that the WRC aimed. These goals are to inform policy and decision-making, develop new products and services for economic development, enhance human capital development (HCD), empower communities, promote transformation and redress, and drive sustainable development solutions. The 5-year Corporate Plan was centred on transformation and redress, both within the organisation and in the project portfolio. The goal was necessarily cross-cutting, in the sense that it drove the ‘human capital development’ and ‘empowerment of communities’ goals. Sustainable development will remain the core principle all WRC projects and activities. The focus was on sustainable development solutions. Members referred to water leak detection technology and wanted to know she how widely was this being used in South Africa. There was consensus that the water sector needed to invest in some of this, especially with the growing new infrastructure, as this is a big challenge to the Department. The Committee acknowledged the huge role electricity played in seawater desalination and suggested the use of solar energy and wind energy was considered to mitigate the high energy costs associated with the process. The Committee had an extensive discussion on collaboration between the Department of Water and Sanitation and WRC and urged delegates to put challenges before the Committee to be considered for possible legislative interventions. The Inkomati-Usuthu Catchment Management Agency focused its presentation on a number of issues. It touched on the legislative framework of the organisation, which entailed the additional functions delegated by the Minister in 2010 and 2015.The presentation also focused on the current delegated mandate, the organisational structure and key priorities of the organisation which are mainly to save water, prevention of water pollution, allocate water licensing and water billing. It also touched on threats faced by the organisation such as water pollution, poor infrastructure, and government’s poor land planning. Lastly, the presentation had a breakdown of the budget for 2017/18 to 2019/20. The Committee asked about licensing in the mining industry in terms of pollution, the sources of funding that have dramatically increased and on the “acting positions’ in the organisation. Members also raised the issue of the costs of assisting the municipalities in Sedibeng and board remuneration. Mr Dhesigen Naidoo, CEO, Water Research Commission (WRC), in his presentation spoke about the strategic outcome-oriented goals that the WRC will be focusing on for the next five years, commencing in 2017/18 up until 2021/22. These goals are to inform policy and decision-making, develop new products and services for economic development, enhance human capital development (HCD), empower communities, promote transformation and redress, and drive sustainable development solutions. The WRC will reinforce its efforts to employ appropriate research projects that will actively inform policy development and decision-making by government and other stakeholders involved in the water and sanitation sector. It will make particular effort to (a) provide information that is evidence-based in order to inform and guide decision making; (b) communicate scientific findings to decision-makers effectively; (c) provide advisory services where necessary to various stakeholders, such as parliamentary portfolio committees, the shareholder department, as well as other decision-making bodies involved in the water sector; and (d) provide a platform for dialogue on issues pertaining to policy landscape. The WRC intended to continue capitalising on projects that have the potential to develop new intellectual property or introduce innovations which create new or improved technologies, products and services that will be used in the economy. The WRC aimed to extensively involve students in its projects, and partner with higher education institutions (HEIs) in order to increase capacity in new and emerging disciplines, e.g., biomimicry. The WRC and its partners will increase emphasis on projects that (a) directly impact the lives and livelihoods of communities through interventions that are water-related; and (b) build enough capacity in order to sustain the water projects after they have been achieved. This 5-year Corporate Plan was centred on transformation and redress, both within the organisation and in the project portfolio. The goal was necessarily cross-cutting, in the sense that it drove the ‘human capital development’ and ‘empowerment of communities’ goals. Sustainable development will remain the core principle all WRC projects and activities. The focus was on sustainable development solutions. Ms T Baker (DA) made reference to her own personal experience in her house where recently, a bucket was bought and is currently used as means of saving water. The water coming from the shower is collected using that bucket, and the water is then later reused to water plants. This means that people need to be conscientised on how to use water. Water levels are updated every day on how much is left in Cape Town and yesterday the province was sitting on 12 days. It was said that there can be the most advanced technology in the world in South Africa but if people are not conscientised then the water sector is wasting its time. She asked what role the WRC played in the development of the Environmental Risk Assessment (ERA) report that the Department used for the granting of water use licenses, specifically in the mining industry. Secondly, some licenses have been granted in protective areas and she wanted to know about the role WRC played in advising capacity and how it worked. This issue was also attributed to the Protective Areas Act, which stipulated the Department of Mineral Resources and the Environmental Affairs Minister but not the Water and Sanitation Minister. This had to be looked at because this directly impacted on the water sources. Thirdly, an European documentary about water made reference to farmers having a huge water warehouse for food productions and she asked the , the WRC how close South Africa was to achieving that given the water shortage that the country was currently facing. Lastly, with regards to water leak detection technology, she how widely was this being used in South Africa? She suggested that the water sector needed to invest in some of this, especially with the growing new infrastructure, as this is a big challenge to the Department. Mr Naidoo replied that the issue of conscientising people was very crucial in order for the issue of water usage to remain in people’s minds. The WRC informed the people about the latest developments in particular domains. Mr Anil Singh, Deputy Director- General, DWS, replied that the licenses protocol was followed, and the licenses are issued with conditions to ensure the protection of the resource. These conditions police and monitor the adherence of conditions, under the jurisdiction of the Department of Environmental Affairs (DEA), which authorised the mining sector. Mr D Mnguni (ANC) was pleased with the strategies set out by the WRC, but noted that everything was industrialised and there was no mention of townships and towns when it came to water and agriculture in the presentation. Secondly, rivers are dirty. What plans are there in place to ensure that rivers are retained? Dams are 50% or 60% full, especially in Limpopo and this was because of the vast rain. How will it be ensured that this water did not go to the sea? It was good that there will be bursaries given out to biomimicry students, but what are the measures that will be taken to ensure that these students do not go for the private sector or start their own companies? 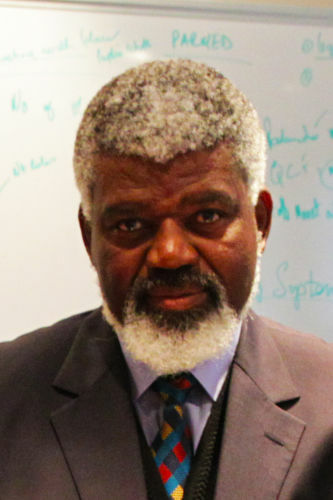 Is there collaboration with other African research institutions to share the innovation? With regards to student participation, Mr Naidoo, mentioned that the WRC was engaging with higher education. Who did the WRC engage with? Is it every university? If not, how would it expand? It must not be forgotten that not only universities are innovative, even schools are innovative. Lastly, how did the WRC ensure that schools participated in committees and that there are innovations in the system? Mr Singh replied that with the Hartebeespoort dam interventions, the WRC assisted the Department in doing the review of a water program, which had to do with the cutting of the hyacinth and the algae. Furthermore, with regards to the solution that was looked at, it was different from a more permanent solution in terms of trying to use these new technologies to destroy the hyacinth and the algae. The person who is best to respond to this would be Mr Naidoo because he was present in the meeting that was discussing this issue. Mr Naidoo replied on the issue of engaging the higher education, that the water WRC is covering every university, and are being assisted by the Deputy Minister of Higher Education and SETA. Mr L Basson (DA) raised asked whether there was an emphasis on technology research and investment to retain clean water. Furthermore, electricity plays a huge role in seawater desalination and therefore it would be better if the use of solar energy and wind energy was considered to assist in the cost of electricity on these plants. He asked whether the WRC has done further research on seawater desalination. Is there new technology available for seawater desalination or is that the norm at the moment? Ms H Kekana (ANC) asked the WRC about the number of students from the rural areas included in the program. Ms N Bilankulu (ANC) said that one of the WRC strategic goals was to actively inform policy development by government partners in the water sector. How often is the WRC called upon by the Department to assist in devising new strategies? For an example, in yesterday’s meeting there was a report indicating that the Department will obtain a consultant to draft the second phase strategy. Why is the WRC not assisting in this regard? Secondly, there are huge delays in the transformation of the Water Services Act and the Water Act. How can they assist in terms of this? What effort is the WRC making to help the government to ensure that the master plan for water and sanitation is intact? Does the Water Research Act adequately address the WRC’s research aspirations? If not what would the WRC like included and see in the Act? The presentation mentions financial stability and that it was a high risk and an explanation was needed as to how an eye will be kept on this. The 2017 global report ranked water risk as the highest risk that the world faced and this has been confirmed by the South African Institute of Risk Management that ranked water as the highest risk in South Africa in 2017, What is the WRC doing to mitigate the impact of this risk? Lastly, it was mention that there will be 28 women who will be participating in the new project. Is that the final number? Mr Singh replied that in terms of legislation, the Committee did the amendments on the Water Research Amendment Bill during the fourth administration and this has to be dealt with as a priority. The Amendment Bill was about addressing and changing the Commission and improving the governance, accountability, etc. Furthermore, the main priority of the Department was also the consolidation of the National Water Act with the Water Services Act. Time has to be set aside to deal with the Water Research Amendment Bill. Mr Naidoo, replied that it was 28 women out 80. Ms Bilankulu asked whether the youth and people with disabilities are included in that number. It was not something to be happy about because 28 is not even half of 80. Mr Naidoo said that it was the number of the women who are leading, not who are participating. The Chairperson asked why, in the view of WRC, South Africa was still facing the challenge of a bucket system. What programs are there in place to address this, to take South Africa to a different direction? What is the shortest possible way in dealing with this challenge? He wanted to know when the water sector will supply the Parliament with publications and periodical. With regards to the trained number of fundis, he asked how many of those are trainable and over what period of time, and what incentives are offered to retain those who are trained. Dr Nozibele Mjoli, Chairperson, WRC, replied that WRC was a research organisation that provided solutions but did not have the power to change practice at institutional level. Policy has made its progress in embracing the new technology, but ended up in a situation where the good work the WRC was benefiting the developing world because they embraced and are more open to the idea of new technology. Moreover, the WRC cannot exactly accommodate South Africa because the policy did not include the technological resources that needed to be used. The Chairperson asked that why this was the case. Dr Mjoli replied that the WRC should be asking that question as they are not the policy-makers. The Chairperson replied that the House should get to the bottom of this. Mr Singh replied that the development of policy was the responsibility of the government, and that policy was approved by Cabinet. There was an opportunity to implement the National Sanitation Policy. The Chairperson replied that the Department should provide the House with that policy. The Department kept saying that it has been approved whereas the House still did not have it. He asked the Department was asked to bring it next Tuesday. Dr Mjoli continued and said it was also not enabling the uptake of the solutions and there were weak sector regulations, because the Water Services Act and National Water Act replaced the sector regulations and continue to be underdeveloped. Furthermore, South Africa has the highest level of resistance to technology. The Chairperson asked where the resistance was coming from. Mr Naidoo replied that policy has the right options, but there was no insistence on the movement and according to the South African regulatory framework, the non-waterborne sanitation is in fact illegal. The Chairperson asked for clarification. Mr Naidoo replied that all the cities that are doing the WRC demonstrative like the City of eThekwini have had to pass special bylaws to have the demonstrative. The water sector had the discretion to change all of this, but is not doing anything to changing it. Ms Baker asked what role WRC played in advising the Ministry. Mr Basson made a reference to an informal meeting that he had with a colleague where it was discussed that Israel did not allow oranges because it made use of a lot of water. The question directed to the WRC was whether it was involved with agriculture and looking at the Western Cape Province where there was a lot of fruit produced that used a lot of water. In terms of developing new cultures that would save water, he asked whether the water sector looked at that or would that be a function of the agricultural sector. Mr Naidoo replied that what was managed to do in the agriculture domain is the use of waste water. Mr Chauke raised a concern that throughout the presentation made by the WRC, the Department was mentioned once and only because of a question that was raised. The WRC was an entity that supported various organisations and he asked what the relationship was between the WRC and DWS. If there is no cooperation between the WRC and the Department it will be picked up very easily. He asked what challenges WRC faced so that the Committee could elevate the challenges to legislature level and come up with interventions. Mr Singh replied that there was a working relationship between the Department and the WRC in that the Department asked the WRC to assist on research development and innovation. Dr Mjoli said the WRC worked very closely with the Minister in terms of programs at board level. At an operational level it differed, because at the end of the day the WRC largely depended on provincial government. Mr Naidoo also added that in general, the relationship was good and has been pretty stable for quite a while. But there are concerns from both sides. One of the things that have been invested in, with the support of the Director-General, the WRC now engages in a branch-by-branch interaction because if the projects are going to be taken seriously and implemented it was not good enough for the Minister to get into the advisory role. There was no expectation from the WRC that the Department will agree with everything that it says. There are times when the WRC carried out its own plans, using its own budget but usually that fits within the strategy of the WRC its self. Mr Chauke said the response given is disappointing. The WRC was using a tactic in order to avoid the truth. It was said that the relationship was good with the Minister and this had nothing to do with the mandate. What was the mandate? It was clear that there was no and a new approach was required. There has to be a relationship formed, because the WRC was a wonderful resource to have. It was clear that there are issues. The Department must work very closely with the WRC to preserve this knowledge. The Committee was here to listen and point out that these are the weaknesses and advise where necessary. Those issues must be aired in order to find solutions together. The Chairperson asked that with the new infrastructure evolving in South Africa, talking about leakages with a figure of 37% was there an intact maintenance plan with regards to the leaks? There are countries like Cuba who have old infrastructure and yet they continue to produce quality services. Is there such in place so that the country does not go back, but is moving forward? Mr Naidoo replied that there was a backup system for the city of Portugal, a system more than 128 years old and the level of recognition and trust in the system was strong. Maintenance did not mean that new is necessarily well maintained, and old did not necessarily mean falling apart. There was a set of maintenance indicators in the Municipality Benchmarks Initiatives, where cities are measuring themselves against the infrastructures. For the Municipal Benchmark Initiative, working with the South African Local Government Association (SALGA), there was an exercise done every two years to see how South Africans cities and towns performed against themselves in order to improve the performance. The Chairperson again raised a few concerns that there are two major projects expected out of the Department to unfold, not knowing where the other was currently at. One of the issues raised was that boreholes are a playground for players who are looking to make a quick buck. It was unknown if the Department’s programme was still coming or already gone, because the Committee would have insisted that it must not go on until the standardisation issues are resolved. Money cannot just be wasted like this as this is public money. Another issue was sanitation. In Bloemfontein one would get a R75 000 toilet unit and boreholes and sanitation seem like a “quick buck”. There should not be such projects that go on until there was standardisation. That document needs to reach the House next week Tuesday. Ms Baker said the toilet issue was a human settlement issue, not water and sanitation, because the aforementioned department dealt with building houses. The Department of Water and Sanitation has been dealing with the eradication of the bucket system program. The question that was of interest was that of interdepartmental relationships that existed and the kind of discussions that are taking place. Where new human settlements are taking place, are there any water tanks, new technology, new toilet systems integrated into those new human settlements? That is where the focus should be. Dr Mjoli replied that in the past it was a requirement that for every project the Department got involved in, to ensure that what the WRC found was in line with what the Department needed. It also ensured that the reference room that has been put together to manage the project, the Department was represented. This was when people were serious enough and attended all the meetings and that was when a project would be completed, because the Department knew what information was available and how to use that information for implementation. People are now overcommitted and did not prioritise and that was where things are weakened. Mr Naidoo added that there have been discussions with the new Director-General, and there are talks about mechanisms. He would be happy to give the Committee a report once that has been done and the Director-General was actively engaged. The Chairperson said given the design of the Corporate Plan, the principles did not need to be included in such an important document to talk about the ownership. It has been noted that somewhere within the document an organogram was included, together with the structure and reporting lines, but the actual ownership was that of the Department. Some entities in their reports did not mention the Department as if these entities are on their own and independent and that was partly what Mr Chauke’s question related to. In the first two or three pages there is an organogram in the document but throughout the presentation and discussion it was as if the WRC was on its own. Clarity on such important straight forward issues was important to state where the reporting lines connected to. Mr Naidoo replied that the WRC did pay attention in the annual reports and what was seen here was the approved draft by the Minister. It was actually the third draft and it will be corrected in the near future. The standardisation issue was critical and they are there standardised in some areas and not in other areas. The House has given the WRC a lot of food for thought, and an opportunity was requested to have an engagement with the shareholders, and thereafter the WRC will come back to the House with a comprehensive report and inform the House of identified problems and ask for assistance. A message was read out by the Chairperson from a resident of Madibeng thanking the Department and the House for the work well done in one of the areas in Madibeng, The water was functioning well and the residents are now happy with their environment. Dr Thomas Gyedu-Ababio, CEO, Inkomati-Usuthu Catchment Management Agency, focused his presentation on a number of issues. It touched on the legislative framework of the organisation, which entailed the additional functions delegated by the Minister in 2010 and 2015.The presentation also focused on the current delegated mandate, the organisational structure and key priorities of the organisation which are mainly to save water, prevention of water pollution, allocate water licensing and water billing. It also touched on threats faced by the organisation such as water pollution, poor infrastructure, and government’s poor land planning. Lastly, the presentation had a breakdown of the budget for 2017/18 to 2019/20. Ms Baker had an interest in water use licenses about the mining industry in the area and some of the polluters and the impact this has on the water, particularly in major catchment areas where there are three rivers that are affected. In the opinion of Inkomati-Usuthu Catchment Management Agency, what is happening in that area? Dr Gyedu-Ababio replied that with regards to the licensing issue and the impact of pollution, the licensing of mines that are being mentioned are challenging. For instance there was a license issued but because people started complaining and the license was suspended. There was currently an appeal being considered. Ms Thembelihle Mbatha, Executive: Corporate Services, Inkomati-Usuthu Catchment Management Agency, added that R8 million was targeted for pollution related incidents, apart from infrastructure related projects, and these are some of the strategies in place directed at dealing with pollution issues. Mr Mnguni was pleased with the Corporate Social Responsibility program at Inkomati-Usuthu Catchment Management Agency, and encouraged the organisation to expand it and keep up the good work. In the full document given to the Committee weeks prior to the presentation, the targets were set, but the presentation was silent on that. Parliament did oversight and it represented the people. The targets must be mentioned in order for the people to know them. The sources of funding amount have doubled in 2017/18 under augmentation and again in 2019/20. What is it that the Inkomati-Usuthu Catchment Management Agency would have done extra? In 2016/17 it was around R36 million, in 2017/18 it was R76 million, double of what was used in the previous year; and then in 2019/2020 the total budget was around R123 million. On page 10, there was a 15% decrease in governing body and related costs. What impact will this have, seeing that other costs have gone up by as far as 65%? Previously, the disabled were not much featuring in the Inkomati-Usuthu Catchment Management Agency employment and he asked what the status quo was. With regards to the Acting CEO issue, he said the aim was to move away from to a permanent post. Dr Gyedu-Ababio replied that the reason why the wage bill has gone up was that the divisions and units in the organisation has also expanded and increased. Furthermore, the Corporate Social Responsibility is being expanded; the organisation is in the process of fitting in a borehole for the use of the community. The Chairperson asked about the cost of a borehole. Dr Gyedu-Ababio replied that it is less than R100 000. Ms Patience Nyakane-Maluka, Chairperson, Inkomati-Usuthu Catchment Management Agency, replied on the issue of acting positions and said that all three executives that were introduced are permanent. Furthermore, the board secretary was due to retire soon and the organisation has found a young female black lawyer who is very smart and the aim was that when the current secretary retired she will be promoted to the secretary position, from an assistant board secretary position to the secretary board one. The Chairperson wanted clarity and asked what was meant by the idea that the assistant secretary will be promoted? Ms Nyakane replied that the lady position will be advertised soon and that the position for the assistant board secretary was created in order for the current secretary to be replaced as soon as she retired. The Chairperson asked if there will not be any new applications for the post. Ms Nyakane replied that the post will be advertised but it was known that in the water sector the skills are very scarce. The post will be advertised and should there be somebody who is more competent then that person will be appointed. The Chairperson said that this information was an internal arrangement that should not be discussed here. Ms Nyakane was promoting something else. The post should be advertised, and preference should be given to a more competent candidate. The House will take interest in the matter going forward. Ms Mbatha replied on the issue of sources of funding and said a portion of the budget in the augmentation part was coming from the start-up capital for the Inkomati-Usuthu Catchment Management Agency that was recently established in the Lesotho area. In addition, the more water uses there are the more charges go up, and this managed to increase the source of funding. With the issue of augmentation, costs have gone up to cater for affordability and the costs have been bridged by the augmentation costs. The governing body costs have decreased, because the organisation has moved from a constituency-based board to a skills-based board. Meetings are sometimes held on Skype instead of paying travelling costs, and the sitting rating costs are around maximum R16 000 per month. In terms of employing the disabled, the challenge lies in declaration, because some disabled employees did not declare that they are disabled and they would be physically disabled, but not on paper. Mr Mnguni raised a concern that there are two farmers in the same area he knows of. One is white and he receives water flow and the other one is black, not receiving water flow. Why is the Inkomati-Usuthu Catchment Management Agency not checking this? Dr Gyedu-Ababio replied that he personally went to the farmer and the issue was not water, but electricity. So far the farmer has not come back to the organisation. Ms Baker was concerned about the costs of assisting the municipalities in Sedibeng, and wanted to know which ones would be helped by the Inkomati-Usuthu Catchment Management Agency. The Chairperson asked that with the assistance given to the municipalities, what the terms of payment are. Dr Gyedu-Ababio replied that the organisation was not assisting any municipality - the panel was done for this year. Dr Jennifer Molwantwa, Executive: Water Resource, Inkomati-Usuthu Catchment Management Agency, replied on the issue of municipalities. The Agency will have strategic meetings with the municipalities and historical related ratings of pollution occurrences had been done. 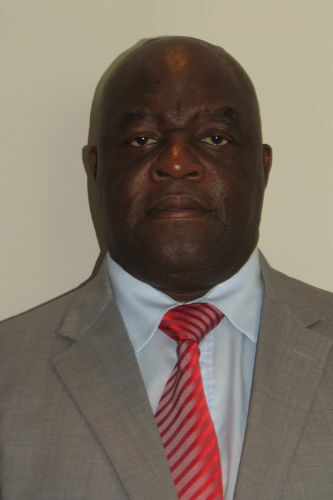 The budget was not that much and there was acknowledgement from the Inkomati-Usuthu Catchment Management Agency that some of the money might not be recovered. Ms Mbatha added that no signing will take place without having a memorandum of agreement first. There was a high increase on the legal cost budget, because last year there was a where a certain mine objected to give information about pollution. The case went to court and the Inkomati-Usuthu Catchment Management Agency won the case and only half the legal fees were paid. This has given the organisation a sense of confidence in recovering the legal agendas. With regards to board related costs, on page 24 of the APP, the board related costs are a fixed monthly budget which enabled the organisation to budget and ensure that the stipulated amounts will not fluctuate or exceed. The board used paper before and has now moved to the use of technology to reduce costs. The Chairperson asked how many board members there were. Ms Mbatha replied that there are eight board members. The Chairperson said that the issue of board remuneration has to be sorted out once and for all so that it did not keep coming up. He was wondering about how other government institutions are operating with regards to the issue of board member remuneration. Mr Singh replied that the problem of the Department’s rectification would be dealt with in due course and the Committee will be informed how this matter was dealt with. The Chairperson in closing said that some issues must be corrected and dealt with.